for $400,000 with 4 bedrooms and 3 full baths, 1 half bath. This 3,524 square foot home was built in 1991 on a lot size of 0.93 Acre(s). MOVE-IN READY IN FARRAGUT! Nestled on almost an acre, this beautifully maintained 2-story basement home offers a highly desirable floor plan with all the bedrooms and laundry room on the same level! Highlights include a formal dining room with plantation shutters, a bright open eat-in kitchen, a huge formal master suite, tasteful neutral paint colors throughout, a separate den/family room, and a cozy wood-burning fireplace in the spacious living room. The finished basement features a home office space, full bathroom, and a large rec room. Enjoy a relaxing evening on the back deck that overlooks the backyard and custom-built patio complete with a fire pit! 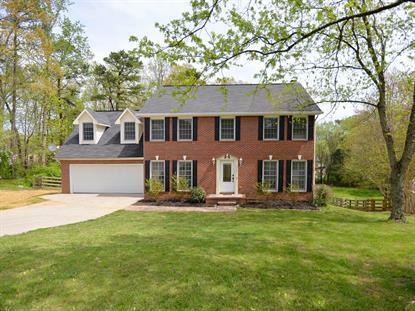 Fantastic location just minutes from Farragut schools, Fort Loudoun Lake, Turkey Creek, I-40, and Fox Den Country Club.